What Is Leprosy and Why Does The Bible Refer To It So Much? One of the things that most westerners have never experienced is the disease of leprosy. In recent times, leprosy has begun to show up in new locations and in some cases, it does not respond to antibiotics, which has led to some concern among health care professionals. Despite the low incidence worldwide of leprosy today, we see numerous mentions of it in the Bible. For this reason, a study on what is leprosy and why does the Bible refer to it so much is needed. According to the National Institutes of Health, leprosy is a disease that has been known since Biblical times that causes skin sores, nerve damage, and muscle weakness that gets worse over time. It is caused by a bacteria that is not very contagious and more common in children than adults. It is common in many countries worldwide and can be treated with antibiotics, which makes isolating people in leper colonies no longer needed (1). Since antibiotics are historically a recent invention, leprosy has a history of causing wide spread devastation and panic with no hope of recovery. This is especially true in areas that had extreme poverty and unsanitary living conditions. In fact, this was one reason that a woman known as Mother Teresa left a convent in Calcutta, India and started a ministry to the poor that were living in the streets there in 1948. Her work with the lepers, along with unwed mothers, abandoned babies, mentally ill, and others resulted her being awarded a Nobel Peace Prize in 1979 (2). What does the Bible say about leprosy? The first mention of leprosy is found in Exodus 4:6 when God spoke to Moses out of the burning bush. God used leprosy as one of three signs He demonstrated to Moses that he would use before the elders of Israel to convince them that God would bring them out of Egypt (Exodus 3:16-4:17). Given the terror that leprosy caused because of its incurable reputation, the ability to heal someone from leprosy was a miracle that would make people believe what Moses had to say. Later, we see the chapters of Leviticus 13 and 14 devoted to handling leprosy according to the Old Testament Law. This brings leprosy into the realm of having not only a cultural fallout, but Spiritual implications as well. In Leviticus 13, instruction was given on recognizing and diagnosing leprosy. However, God also instructed 21 times that the person with leprosy shall be declared unclean. This declaration came with the instruction for the person to be publicly identified, isolated, his garments washed or burned if necessary, and sent to live alone outside the camp if he is not healed. What is spiritually significant about leprosy in the Bible? The spiritual significance of leprosy is first established in Leviticus 14, where God gave Moses instructions on how to handle lepers that were healed. In this passage, a ceremonial cleansing was performed by the priest. In this ceremony, two birds, cedar wood, scarlet, water, and hyssop were used. A bird was sacrificed and the blood was applied to other elements and another bird that was alive. The person healed from leprosy was sprinkled along with a living bird that was then let loose into a field. The person was pronounced clean and was sent to his tent inside the camp to wait for a week. After the week was completed, he was commanded to make a sacrifice that consisted of a trespass offering and a sin offering as well as other offerings. Once completed, the priest would go to the person’s house and command it to be cleaned. A week later he would return and if the house was not clean, he would command that the unclean parts be removed and replaced. If that did not work, then he would have the house demolished and the rubble removed to outside the camp. If it remained clean, a sacrifice for the house was performed much like the one done for the person. The cedar was used in the ceremony and for the burnt offering. It repelled the water containing the blood of the sacrificial bird. It pictures the impenetrable strength of Christ to repel sin (Numbers 24:4-9; Psalms 91:12-15; James 1:13). With these Spiritual concepts in mind, just as God demonstrated his power over leprosy to Moses, we also see in Leviticus 14:54-57 that there was a purpose to this, to teach what is clean and unclean. Christ demonstrated this concept in an encounter when He healed 10 lepers in Luke 17:11-19. As He traveled through Samaria and Galilee, He encountered 10 lepers in a village. The lepers stood far away, but called out to Him, asking Him to have mercy on them. Jesus told them to go show themselves to the priests as was commanded in the law. As they went, they were healed. One of the lepers, a Samaritan, returned to Jesus and loudly glorified God as he fell at the feet of Jesus thanking Jesus. Jesus responded by asking the man where the other nine where that were healed? He added that only this man had returned to give glory to God. He concluded by saying to the man to arise and go his way, because his faith had made him whole. With these words, Jesus declared this man clean, not only physically of his leprosy, but also spiritually of the terminal disease of sin. The other nine were healed physically, but only this man acknowledged Jesus for Who He really was. This man, a Samaritan, who was despised by the Jews, served as an example to all of us that while we may be made whole by modern medicine, Jesus is the Great Physician that makes eternally whole and clean (Matthew 9:12; Mark 2:17; Luke 4:14-27). 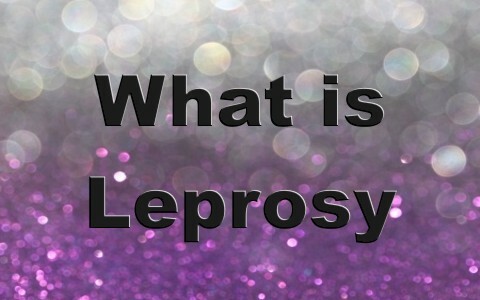 Leprosy is a bacterial disease that was usually fatal in ancient times. Today, it can be treated with antibiotics. Leprosy was addressed in the Bible, not only in the law, but served as an example of the deadly effects of sin. Just as a leper was declared unclean and banished from the camp of Israel, the law that is our schoolmaster about sin declares man as unclean and unworthy to live in the presence of the Lord and one another in heaven. The Old Testament priest was able to declare a person clean of leprosy after transferring the person’s sin to a bird that was sacrificed. Likewise, our High Priest, Jesus is able to declare us clean by transferring our sin through our faith in His sacrifice upon the cross to Him for the forgiveness of our sins. Hello Pastor Jack, first of all, nice job on the new WCWTK presentation, God is good in His guidance. This is an very interesting article. I have often thought about Leprosy from scripture and whether it disappeared throughout time and the advances in modern medicine, then i look closely at Necrotizing fasciitis (the flesh eating disease) and wonder if it is the same thing! what are your thoughts on this. I was going to wish you all a very blessed rest of the year but i see our Dad has already set that in place. Thank you for your encouragement on the “new presentation” which I guess you mean the “Ask Pastor Jack” on iTunes? Also, amen Lorraine…yes, God is good all the time and really, better to us that we deserve. May God richly bless you my sister in Christ. I don’t know enough about whether this is the same thing or not. I am sorry that I can’ help you a lot on this. By the way, so good to hear from you again my friend. Keep in touch and let me know how it is going Erwin and until them, may God richly bless you. Previous post: Is The Idea Of Having A Soul Mate Biblical? Next post: How Does The Bible Define A Fool?